It is spring again and time to think about preventative medications for your pet to protect against seasonal pests and diseases. Many of these infections are easily prevented by administering medications on a regular schedule. Heartworms, which are carried by mosquitos, are the most familiar. These parasites can be transmitted by a single bite from an infected mosquito but can be eliminated by heartworm preventative if it is present in the bloodstream. It is important to start preventative medications before exposure to any infected mosquitoes. Many heartworm preventatives are also good protection against intestinal parasites and can help to control infections of roundworms, hookworms, whipworms, and tapeworms. For this reason, many veterinarians are recommending their use all year round because these parasites are transmitted through contact with stool that harbors the eggs. If your dog or cat consumes some of the stool or licks it off their paws, they can become infected with the eggs. Lyme and Anaplasmosis are diseases that are transmitted by infected ticks and preventative medications can reduce the risk of infection. Depending upon the snowpack, ticks can start to be active in late winter and very early spring. These products are available in a variety of preparations and there is sure to be one which will appeal to you. There are topical products which are applied to the skin of your pet. There are also tablets which can kill fleas and ticks for 30 days up to 12 weeks. In addition, collars are available which can kill fleas and ticks for 8 months. Fleas can cause their own special infections and should not be disregarded when considering preventative medications. While ticks cause most infections during the early spring and mid-summer, fleas become more of a problem during the fall. For this reason, flea and tick preventative should be continued right into the winter, if not given year round. Your veterinarian should have some or all of these products available and can counsel you as to which would be the best for your special situation. While many of these products are available through online pharmacies, these products have been diverted from their original sources. This means that it may be counterfeit product and not live up to the label claims. For that reason, the manufacturers will not be able to provide refunds or help if there is a problem with a product purchased from an online pharmacy. There are many rebates and other benefits which you may qualify for but those are also not available from online stores. 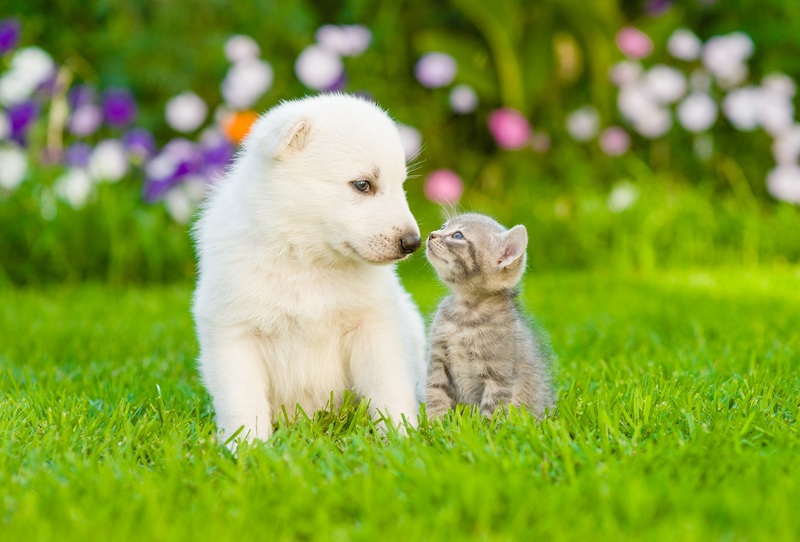 Speak to your veterinarian today and help your whole family have a happy and healthy spring!